Central Florida Summer Camps – This is page 2 of 4 in our Summer Camp Guide for 2019. You can access each page with the numbers below. We will continue to update this guide throughout the summer to add interesting summer camps for your kiddos. This guide is sponsored by the following summer camps. Please look through them and click for more information. Altitude Summer Camp is for ages 6-13. We have two summer camp sessions every Monday-Friday! 10am-1pm and 1:30pm-4:30pm. We have a session every week starting on June 3rd and ending on August 2nd (no camp the week of July 4th). Each camp includes a t-shirt, snack and water bottle, and we will have concessions available for purchase! Kids will get to enjoy Altitude park attractions and play games and participate in creative activities. Some of the fun will include slam dunk contests, battle beam championships, Altitude Olympics, dodgeball tournaments and more! Sign-up or contact Altitude with questions at (321) 246-3407.
iD Tech is the world leader in STEM education, with 400,000 alumni since 1999. Summer programs for ages 7-19 are held at 150 prestigious campuses including Rollins, Stanford, NYU, HKU, and Imperial College London. Students build in-demand skills for futures in coding, game development, robotics, and design. 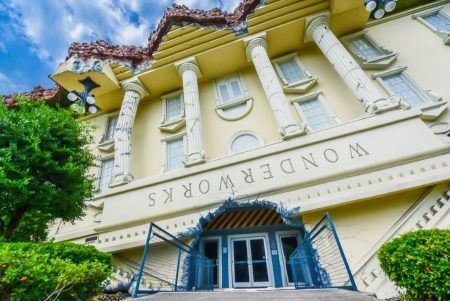 +Russian Ballet Orlando: Each Week Will Showcase and Focus on a Different Theme introducing kids to cultural dances, acting, musical theater, arts and crafts, as well as weekly showcase performances. Russian Ballet Orlando’s summer program is designed to introduce young dancers to the many aspects of the culture of the Performing Arts. Each week will consist of five days of fun, learning, and dance. Our camp are concentrated on building self-confidence, creative thinking, improvisation, collaboration, trust and discipline through the performing arts. Every day, students will participate in Ballet classes, a cultural history class, a music theory class, a themed dance class geared towards the week’s performance, and an arts and crafts class where students will be able to create aspects of the culture of which they are learning. The “End-of-the-Week” performance is open to families and friends that will showcase exactly what students learned throughout the week, culminating the entirety of their curriculum. +Orlando Ballet School: We offer an extensive summer program for dancers of all ages. Whether you are a serious dancer looking to refine your technique or a young dancer looking for some summer fun, we have a summer program for you! +The History Center: Become a member and ensure a place at camp! Members-only Early Bird registration begins February 1. History and fun collide at our Adventures in History summer camp program. We provide a safe and fun learning environment that combines cool historic facts with STEM content through hands-on activities, interactive guest-speaker programs, and exciting field trips. Campers will discover the history that surrounds us every day! We offer three classes divided by age group (1) ages 6-7, (2) ages 8-9, and (3) ages 10-11. +Trinity Lutheran Church and School Summer Camp: Academic, field trips, crafts, sports, friendship…non-stop fun. Hours are 7 a.m. to 6 p.m.
+Orlando Museum of Art: Studio Art Sessions for Students Entering Grades 1-8 Become immersed in art-making experiences that place value on the process of creative expression in a relaxed atmosphere. From programs for fun-loving kids to the more serious students of art, sessions offer something for every budding artist. Register for one week or up to ten weeks with a different theme each week. +Orlando Repertory Theater: The Youth Academy’s camps and productions are designed to foster self-confidence, creative thinking, problem-solving skills, collaboration and discipline through the performing arts. For over 20 years, The REP Youth Academy has provided the finest theatre training in Central Florida. Our award-winning professional teaching artists share their expertise in camps and classes for students from Pre-K through graduating 12th graders. Enrollment opens January 16, 2018. +Orlando Shakespeare Theater: Taught by theater professionals, Orlando Shakes’ summer camps are designed to ignite the imagination and inspire creativity while teaching life skills. +City of Orlando Recreation Centers: A safe and affordable summer “day” camp program for youth who have completed Kindergarten up to fifth grade. This program is offered Monday-Friday for the weeks school is out following Orange County Public Schools calendar, at 16 community and recreation centers. Summer Camp offers a variety of recreational activities, including swimming, crafts; indoor and outdoor activities, exciting field trips (additional expense), computer labs and special events. +Pet Alliance of Greater Orlando: The Pet Alliance of Greater Orlando’s Summer Camps are designed for kids who love animals. Campers will experience hands on activities with shelter pets, gain knowledge from educational speakers, and enjoy animal-related arts & crafts, enrichment projects, games, and much more. Our Camps will be held at our Orlando facility on Conroy Road. +Dr. Phillips Center: Make summer a whole lot cooler. Once the school year wraps up, the School of the Arts is in full swing. Every summer, students can spend a week or two completely immersed in their craft—learning from seasoned teachers during all-day sessions. Focused on musical theater, acting or jazz music, these high-energy summer camp programs are as rewarding as they are intensive. Each culminates in an exciting showcase for friends and family—a chance for students to show off their new (or newly perfected) skills. +Summer Dance Extravaganza: The Dance Teacher uses a variety of dance styles to ignite that spark that lies within the imagination of each individual student. During our summer camps we provide a unique opportunity for participants to dance, create, direct, write, and produce. Through daily activities students discover their own personal talents that enrich, inspire, and delight each other’s unique “greatness! 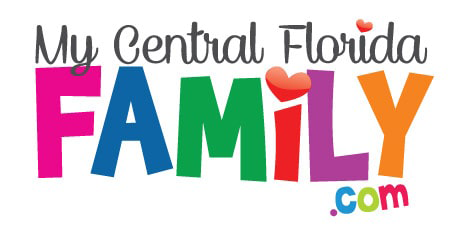 +Central Florida Community Arts Summer Camps: Each summer, CFCArts offers a variety of exciting summer camps to children and teens! From arts camps for our preschool children to musical theatre intensives for our teens, these camps are designed to meet the students where they are. A fun, encouraging environment allows youth to explore the performing arts, work with talented, professional directors and choreographers, make new friends, and grow as a performer. Email youth@cfcarts.com for more information. +UCF Central Florida Volleyball Camps: Welcome to Central Florida Volleyball Camps! Join Head Coach Todd Dagenais and the UCF Volleyball staff for our annual summer volleyball camps! We look forward to seeing you on campus! +Page 15 – Young Writer’s Summer Camp:Venturing beyond reading and writing, Page 15’s popular Young Writers Summer Camps gives authors in 2nd – 12th grades the opportunity to write, illustrate, and publish their very own book with help from published authors, editors and illustrators. The Young Writers Camp is perfect for readers and writers of all abilities – from the budding young wordsmiths who love the process, to the reluctant writer who hasn’t yet found the know-how or interest in writing. +Camp Blue (St. James Cathedral School): Camp Blue 2019 begins June 3rd and runs for 8 weeks, finishing the week of July 22nd! Experience Summer Camp in a whole new way. We have programs for children entering PreK3 through grade 8! Each week campers will experience new enrichment activities, exciting off-campus group excursions at the hottest kid’s spots, and an enhanced sports clinics where campers can focus on building their athletic technique and skills. +Hero Spark! : This summer we are thrilled to be partnering with the Orange County Library System, and Disney to do a series of Family Game Time events! These events will be a great opportunity for you and your family to learn how to break out of the weekly routine by starting your own Family Game Nights! We’ll be demoing up to 30 different games (not just your typical Monopoly or Candyland experience) to use to get the family together. Learn how to unplug to disconnect through new and exciting games that teach core skills and spark an interest in the world around! +Orlando Day KidzCamp: As one of Orlando’s premier child care centers, we offer high quality at affordable rates. Our teachers nurture each child’s strengths and lift them to new heights. Offering child care from ages six-weeks through preschool, VPK, kindergarten and after school care. +JCC of Greater Orlando: Since 1973, The Roth Family JCC has been home to our incredible Andrew Hansen Mandell JCC Summer Camps in the heart of Maitland. +Theatre South Playhouse Summer Camp at the Dr. Phillips Marketplace: Welcome to The Playhouse! Dr. Phillips Premiere one-stop shop for all your summer camp needs. With our new performing arts theater space and studio in The Dr. Phillip’s Marketplace, we couldn’t be more convenient and affordable. Drop-off and pick-up is easy from the heart of Dr. Phillips. All of the Teaching Artists here at Theatre South Playhouse are professional performers with either a BFA or a Masters in Theater, Dance, Musical Theater and Theater Education. Come learn from the best! +St. Luke’s United Methodist Church:Our camps provide quality, affordable, scripture-based instruction in a nurturing environment. We invite children of all backgrounds and traditions to participate in summer camps at St. Luke’s. +Hip Hop Summer Camp: Have FUN this summer at DGBEK Studios Hip Hop Summer Camp! You love to dance? Discover the core fundamentals of Hip Hop, including Dance, Breaking, Graffiti & DJing. Students will be placed into groups according to the guidelines of our Academy Program and to their level of Hip Hop dance experience. Dance Classes will be taught by DGBEK’s Academy Instructors, and Open Class Instructors and the Graffiti, DJing & Breaking Classes will be with our resident Graffiti artist, resident DJ and our Bboys! Each week, students who attend camp are invited to perform for friends and family at the Camp Showcase! Camp Connect (UCF): Camp Connect is a week-long day camp that introduces students to a variety of engineering disciplines such as Electrical, Computer, Industrial, Mechanical, Aerospace, Civil, Environmental, Construction, and Computer Science. Students participate in hands-on activities, informative presentations, and exciting lab tours while getting a chance to see the UCF campus and meet our wonderful faculty and students! +Magic Curtain Summer Acting Camps: For more information on Magic Curtain Summer Camps, visit MCPTheater.com. Boardwalk Bowl Entertainment Center: It is almost summer time! Do you need somewhere FUN to send your child(ren) during summer? We have the perfect solution for you. Register your child(ren) today! Parents and kids alike will be happy campers with Boardwalk‘s Summer Camp from June 4 through Aug. 10. Lunch, snacks and beverages are included. Parents can drop off their campers as early as 7am and pick up as late as 6:30pm. For more information, please contact 407.384.0003 ext 1. +Top Kids Academy: Our summer fun program is open to all children ages 6 to 13 years old. Let them explore the beauty of nature and friendship. Engage your child in fun and games that let them probe their personal character and strengths. Top Kids Academy is accepting enrolls as early as now! Top Kids Academy prepares summer fun games and team-building activities that usually accommodate sports and field trips. So instead of getting bored at home and being stuck in video games, this is a healthy way of keeping a motivational check on your child and making sure that they learned something new before the beginning of the school term. +Doglando: Camp Doglando offers youths between the ages of 10 and 13 a unique, fun-filled opportunity to learn how to “Dog Responsibly!” Starting with which qualities you should look for in a pet, and working through the process of how and where to acquire “the right dog”, Campers experience firsthand all that is really involved in caring for, and training a dog. This experience increases their understanding of what a dog needs to live a happy, healthy life as a companion. +Orlando Drum Camp: Come join us for the largest percussion camp in all of Central Florida since 2011! Students of all experience levels have the opportunity to learn about and play different drums from all over the world. In addition to learning about different instruments and musical concepts, all participants will have the opportunity to perform multiple pieces for the final concert! Activities will include rhythmic workshops, drum set master classes, stomp, small ensembles, music theory, and more. High school students will spend plenty of time with marching percussion (snare, bass, tenors, cymbals). Pre-K students will have creative arts and crafts, educational music games, and more specialized instruction. +Orlando Horse Camp/Painted Oaks: Orlando Horse Camp includes the incredible experiential learning of a challenge/ropes course, swimming and canoeing will be included. For Students ages 6-17. Students will be divided by age groups at the Day Camp. +UCF Music Camps & Clinics: Click for more information. +Girls Soccer Camp at UCF: This 5-day camp offers over 25 hours of soccer instruction through fun and challenging activities. Young players will have the opportunity to meet, train with, and be coached by current UCF Women’s Soccer players and staff. All players will receive a t-shirt and a certificate of completion. The Central Florida Girls Soccer Youth Camp is open to all girls between the ages of 4-12*. The curriculum will cover all aspects of the game and will include developmentally appropriate activities for all skill levels. +UCF Volleyball Camp:Welcome to Central Florida Volleyball Camps! Join Head Coach Todd Dagenais and the UCF Volleyball staff for our annual summer volleyball camps! We look forward to seeing you on campus! +Monarch Academy: MCA is a summer day camp with weekly themes and field trips. Our days are packed with STEM activities, weekly cooking, outdoor games, creating with our LEGO wall and Makerspace, computers and arts and crafts. Meals and snacks are included in tuition, but campers may opt to bring their own food if desired. Full-time and part-time options. +Kindermusik\Grow&Sing: Through storytelling, children will develop an early awareness of rhythm, movement, singing, and drama. Session one includes the topics Splash! and Make Believe. Session two includes topics Wild Animal Park and Out and About. Each day children will enjoy music, movement and drama activities, along with art time, playground playtime and a snack. + Avalon Dance: Classes for ages 2 and up and camps for ages 4 and up. For more information, call 407.380.3444. Located in Avalon Park. Click here for the flyer. +Kids R Kids: Our Learning Academy offers a thrilling summer camp experience for preschool and elementary aged children. Check back with us in 2019 to see what we offer our families in the community – a Day Camp your child will absolutely love. +Aim’s Amazing Sport and Fitness Camps: Our goal is to make children (ages 5-13) aware of their talents through offering them a variety of after school classes related to fitness and the arts. By doing this each child will be able to build self esteem, coordination and artistic expression in addition to learning how to focus on their skills. This also keeps the students involved in some sort of activity in a fun safe controlled environment. The camps are theme based. Camp is held at Corner Lake Middle School. +Capitol Debate: CNot only will Capitol Debate students learn new skills through our programs; they will feel an increase in self-worth, learn critical thinking skills and improve public speaking and communication skills with their peers. Two weeks at camp will result in lifelong friendships and memories that will resonate with our students throughout their academic, personal and professional careers. Campers return to our program year after year because of how life-changing our Summer Debate Camps prove to be. Our parents will tell you themselves that they proudly stand by their investment in Capitol Debate because of the impact it has had on their families. + Camp We Sign: Camp We Sign is a one week day camp for students k-12th grade. Campers eligible to attend are campers whom are Deaf, hard-of-hearing, siblings of DHH students, and children of Deaf adults. + Russian Ballet Alafaya Summer Camp: Summer Ballet Camp 2019! Come join the fun and learn about dancing, the history of ballet, hair, makeup, sewing, music, and crafts! July 6-28 Three weeks. Discount for signing up for more than one week. Classes/camps for ages 2 ½ to adult. + Cranium Academy Summer Camp: The summer program at Cranium Academy is 11 weeks of fun and learning for students who have a wide range of interests. We offer camps for children from 2 years old to 10 years old in arts, humanities, sciences, and more! STEM camp is offered for children ages 4-10. School Day camps are from 8:30 AM until 3:30 PM and Full Day camps are from 7:00 AM until 6:00 PM. + Creative Global Schools STEAM Program: Creative Global Schools’ STEM (science, technology, engineering, and math) education summer programs helps students to keep their minds growing while school is out. CGS offers a rigorous global academic program to include STEAM through Simulation, International and Public Policy and Entrepreneurial Incubators to prepare and empower students both academically and socially. Our students learn both through customized student learning, discovery education and project based learning frameworks. + Orlando Drum Camp: Come join us for the largest percussion camp in all of Central Florida since 2011! Students of all experience levels have the opportunity to learn about and play different drums from all over the world. In addition to learning about different instruments and musical concepts, all participants will have the opportunity to perform multiple pieces for the final concert! Activities will include rhythmic workshops, drum set master classes, stomp, small ensembles, music theory, and more. High school students will spend plenty of time with marching percussion (snare, bass, tenors, cymbals). Pre-K students will have creative arts and crafts, educational music games, and more specialized instruction. +Equestrian Quest:Limited space is available so sign up fast! Ages 5 and up learning all aspects of safety, care, & nutrition for the well being of the riders and the horses. Fun includes riding both English or western, trail riding, games and swimming during summer camp, long pants are recommended, lots of water, hard shoes & snack. + Central Florida Preparatory School: Statistics point to the disappointing loss of learning that takes place when young people are not in school during the summer. Summer reading programs can provide young people and their parents with the tools necessary to ensure year-long learning success and cultivate a love of reading. — Commissioner of the New York State Education Department John B. King, Jr. Do you want your child to continue learning throughout the summer? Does your child just want to have fun? We can help you both. We invite you to enroll your son or daughter in our summer camp. +Camp Ithiel: We offer multiple summer camps giving youth the chance to experience God and His Creation along with the comfort of air-conditioned facilities! Camp Ithiel works hard to foster an atmosphere where campers can encounter God through worship, study, relationships, recreation and nature. Our summer camps give campers the opportunity to participate in fun and exciting activities like canoeing, archery, hiking, 9 Square in the Air, Gaga Ball, Life-Size Angry Birds, campfires and cookouts. Most importantly, the heart of our summer camp ministry is to encourage and challenge campers to grow in their relationship with God and to walk with Him every day. There is no better way to spend a week of summer than at Camp Ithiel. We offer Overnight Camps and Day Camps for youth ages 6-18. Register today for the fun! +Broadway Summer Camp: The Young Star Musical Theatre Summer Camp program is a 5 day camp, where children of all levels will learn select songs from current and past Broadway musicals and how to become a Triple Threat ( singer, dancer, actor). + Deeper Root Academy Summer Enrichment: Deeper Root Academy Presents Summer Enrichment 2018! Come a join us for academic engagement and summer fun. We have academic enrichment, vacation bible school, drama, music, art, and sign language classes. There are also fun field trips weekly. So come and join the fun and keep the learning going all year! +Bishops Gate Golf Academy: Summer camps begin June 9, 2019 and run weekly for 10 weeks with the last week beginning August 11, 2019. Come for a week, multi-weeks or the entire summer. Camp options include Core and Elite. You can also pair your golf training with English classes. +Victory Martial Arts: A positive place for all the Spring and Summer Camp kids to get together! Join the fun with all sorts of games and activities like breaking a real wooden board, xtreme martial arts, self-defense & bullying prevention. +Osceola Arts: Osceola Arts provides fun and affordable summer camps that include six different camps with focuses on visual arts, musical theatre and music. +Arts Thereafter: Performance Camps run from 9:00 AM – 3:00 PM. +Kissimmee Art Camp: We are an art Camp in the Kissimmee area dedicated to bringing out the creativity in each child. We accept children from 5-12 years old. +The Art of Enrichment Summer Camp: Full day camp featuring Art instruction, Music lessons, Acting Classes, Singing Instruction, Cooking, and more! Ages 6-12 welcome! Camp hours and rates vary per location. + Gingerbread House I & II: Offering full day care from ages 2-8. Located at 99 Bridle Court, Kissimmee. +SportsRock Gymnastics Camp: Join us for fun-filled days learning Gymnastics, Aerial Arts, playing Games, Contests, Arts n Crafts and More! Each week is a new theme designed to keep things fun and the kids Active. Boys & Girls ages 5 – 14 are all welcome. Full day and half day options plus extended day for working Parents. Pre-registration is necessary to guarantee a spot. See you in the gym! Fieldtrips – bowling, movies, parks, restaurants, local museums. +Circle F Dude Ranch Summer Camp: Campers can choose from over 40 different activities including such things as horseback riding, swimming, arts and crafts, paintball and rock climbing. Each camper has an individual daily summer camp schedule based on his/her choices. + Metropolitan Area Youth Symphony (MAYS): MAYS summer camp takes place for one week in the Orlando area (Oviedo) June 12-16 and one week in the Lake County Area (Leesburg) June 19-23. Each day of MAYS summer camp includes: Full orchestra rehearsals, chamber music, music theory, composition, recitals, music appreciation, master classes, practice techniques, and snacks. The hours are 9am to 3pm and there is a half day program for students age 8 and under from 9am to noon. In Oviedo the camp takes place at St. Alban’s Anglican Church, 3348 State Road 426, Oviedo. The Lake County camp takes place at St. James Episcopal Church, 204 Lee St., Leesburg. +Camp Boggy Creek: EUSTIS: During each of our summer sessions, up to 150 children with like illnesses arrive for a week of fun, adventure and independence. The prescription for the day is fun, fun, fun! Laughter, giggles, friendships and excitement abound on the 232 acres of tall pines, majestic oaks and nature trails. Campers are empowered to do things they never dreamed they could do. They are infused with a spirit of accomplishment at every turn and allowed to forget that “they have what they have.” For many of them it is the first time they’ve felt “normal” since their diagnosis. Multiple sessions of overnight camp offer our campers the chance to come to camp and catch a fish, make a woodshop project, or climb our high tower while making some wonderful new friends. Each session of camp we host a different illness group. +Peak Performance Swim Camp: At Peak Performance Swim Camp our primary goal is to bring out the very best in every swimmer we coach. To achieve this ambitious goal we employ a one-of-a-kind holistic approach that conditions swimmers both inside and out. +Earth Immersion SCUBA Summer Camp: Earth Immersion summer camp is a scuba, adventure and outdoor education camp for teens (12-16 yrs) looking for an unmatched experience exploring North Florida’s crystal clear springs. Students will earn three dive certifications. No experience necessary except must be able to swim. It is a two-week, co-ed, overnight camp. +Kids Summer Arts Camp: Art Around the World! Campers will go on an exciting journey around the world as they experience the art, dance, and music of different countries. Each week explores a different location, so no two weeks are alike. Call 352-383-0880 for more information. +Pro Soccer Kicks: Half day and full day soccer camps offered for boys and girls entering 1st-8th grade. We also offer a residential camp with option to be a commuter. Must be entering 6th grade to sleep over. +Extreme Youth Sports Lake Mary: Extreme Youth Sports is different. We love seeing your child everyday and want them to be their absolute best! EYS of Lake Mary is better than your average summer camp. We have created a place where kids can feel safe. A place where they can grow and become confident. Somewhere they can learn new skills, build friendships and grow in character. Where other programs may “babysit” their students, we motivate our students to maximize their success. If you understand that difference, you will understand the value of our camp. Many parents have shared that their kids talk about our summer camp throughout the school year. We are grateful and super-excited for another summer of camp! Join us and allow your child the incredible experience! + Imagine If: Our one-week camps are Broadway style classes! These classes are performing arts camps designed to give students the ultimate musical theater experience. Each child will train in movement, ensemble work, improvisation, characterization, costume design and creation, background and prop crafts. We will also have crafts, movies, free-play time, bounce house, and snack. Please bring your own lunch each day. The week will end with a special showcase for parents and guests. we have several different themed weeks available. B2R offers a dynamic atmosphere for male and female students to unlock their inner star! +USTA National Campus Summer Camp: Summer Camps are 1 week of tennis play and lessons. There are nine weekly sessions. The camp will provide options for all ages and abilities. Campers will hone their games and their strokes, have fun and learn skills that will help them enjoy the sport for a lifetime. The program will feature professional coaching and training combined with the perfect blend of competition, camaraderie and fun! +Synapse Science & Technology Learning Center: We are STEM Afterschool Enrichment Learning Center that focuses on Programming, Robotics, 3D Printing, Internet of Things and Music. +All-Star Dance Company – All-Star Summer Camp: This summer, ASDC is offering 8 week-long camps, 8 different day camps and 8 weeks of our normal classes. Each week-long camp focuses on specific styles of dance and includes workshopping skills like juggling in our Circus Camp and stage makeup in our Ballet & Broadway Camp. Our camps also include different themed crafts and amazing end of the week performances! The dance day camps are perfect mini versions of our week-long camps, with a performance at the end of each day. For more information, check out the summer brochures located in our lobby or our summer schedule at www.allstardancecompany.com! +NONA Soccer Academy Summer Camp: A Central Florida premier youth soccer camp located in the Lake Nona area offering day camp to both the recreational player and the competitive player for girls and boys. Half Day and Full Day Options Monday – Thursday with optional field trip Fridays. Free early drop off (8am) and late pick-up (6pm). There will be morning and afternoon training sessions, indoor group activities in the AC (indoor soccer, movie time, board games, contests, etc). All children will be divided by skills and experience for group training sessions. Register and secure your spot – come for a week or spend the whole summer with NONA. For more information, visit www.wearenonasoccer.com. Disclaimer: We do not endorse any of these summer camps, nor do we have personal knowledge of them. Please be sure to use this guide as just that…a guide. We have put this guide together based on our research of potential summer camps in the Central Florida area. Do your research and your homework to pick the best and most reputable summer camps for your children.